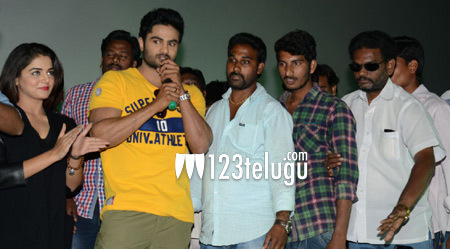 Sudheer Babu’s latest release, Bhale Bhale Manchi Roju has opened to some positive reviews all over. After hearing the positive response, the film’s unit went on a success tour in several areas of its release. The reception for the team has been unanimous and the crowds were seen cheering the team big time. Bhale Manchi Roju is an off beat film which has clicked with the audience big time. Directed by débutante Sriram Aditya, this film has Wamiqa Gabbi as the heroine and Sai Kumar plays an important role.